Covers cost of materials for this class. Bring and pay directly to instructor. Intergenerational Age: 10+, each child must be accompanied by an adult. Another chance to get your hands messy! 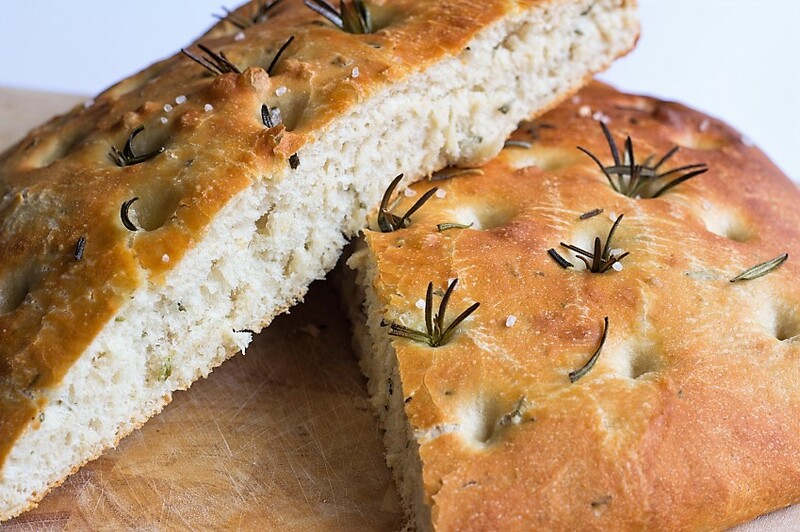 Have some fun learning to bake delicious Italian breads for summer meals. We’ll be making ciabatta and focaccia. You’ll learn about pre-ferments, wet doughs, and dough development. You’ll leave with a couple loaves of bread and some dough to bake at home. Special Note: Adults are invited to share in the fun of learning a new skill with a younger person. Each child must be accompanied by an adult. There is no charge for the additional person, just complete the registration for 1 adult and note the name and age of the child in the comment section of the registration. NOTE: Be aware we may cancel 5 days before class date if a minimum number of registrations not reached. We work to balance teachers’ need to plan for a class with students’ busy schedules — not an easy task. Please register as early as possible! All classes are for adults (18+) unless otherwise noted. Be aware we may cancel 5 days before class date if a minimum number of registrations not reached. We work to balance teachers' need to plan for a class with students' busy schedules -- not an easy task. Please register as early as possible! Read all of our school policies.